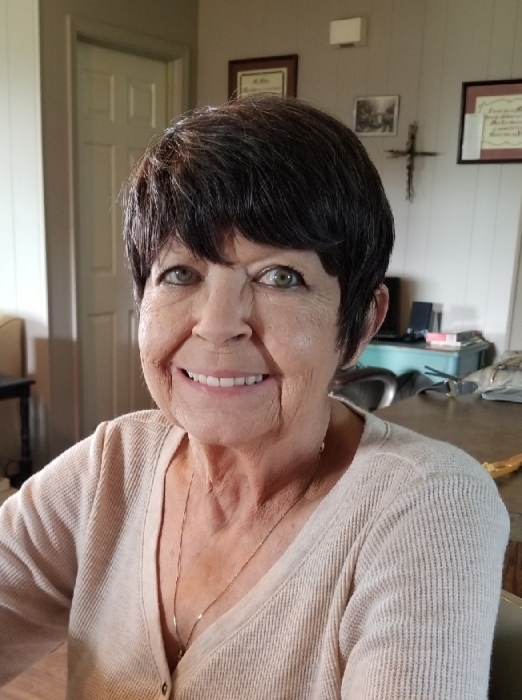 Janice Louise Hicks passed away Saturday, March 23,2019. She was 72 years old. Janice was a native of Biloxi, MS. She had been making her home in Vicksburg since 1985. She was formerly employed at the Grand Gulf Nuclear Power Station for a number of years. She was a home maker. She is preceded in death by her husband Robert L. Hicks; daughter Robin Lynne Hicks; and sister Patricia Franz. She is survived by her daughters Latisha Wisniewski, Glynda Hearn, and Cindy Cantin; sons Robert Hicks, and James Hicks; daughter Kathy Webb; sister Susan Herring, 12 grandchildren, and 15 great-grandchildren and numerous nieces and nephews. Visitation will be Monday, March 25, 2019 from 1:00 p.m. to 3:00 p.m. at Glenwood Funeral Home with services in the chapel at 3:00 p.m. with Rev. Roger Cresswell officiating. Burial will follow at Yokena Cemetery. Pallbearers will be Shane Redditt, Gary Hearn, Dennis Wisniewski, Tommy Cantin, Brandon Wisniewski, and Robert Hicks, Jr.